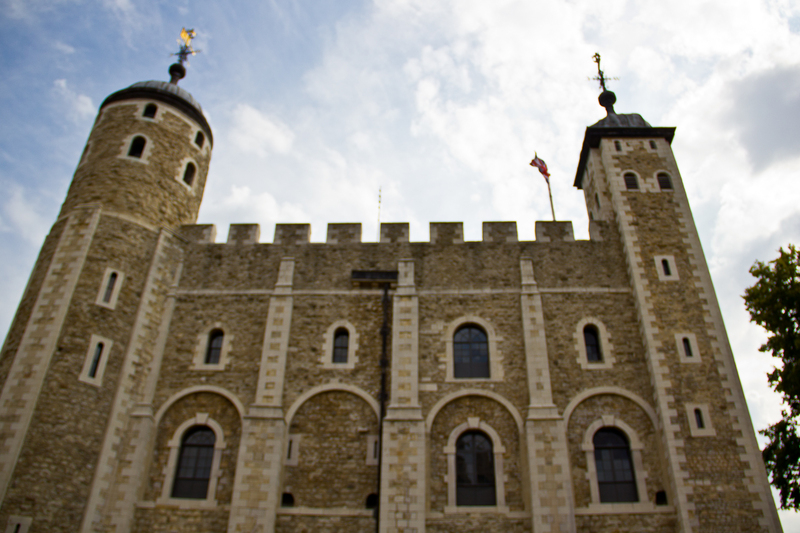 During a day tour around London we stopped and what was my fifteenth UNESCO World Heritage Site, The London Tower. The Tower of London was built almost 1000 years ago, in the year 1066. It was built as a symbol of Norman power after the Norman conquests took over England. The tower was used both as a defensive mechanism, and a place to garrison and execute criminals. Over the centuries additional buildings and fortification were added to the tower, further increasing its size and stature, as the surrounding area literally sat in its shadows. 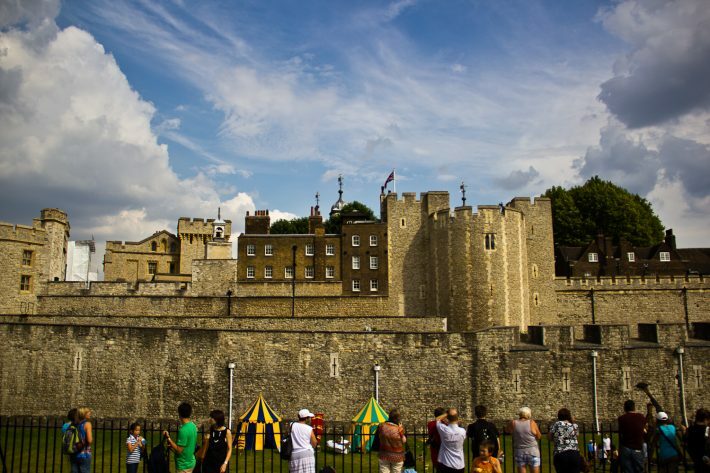 Today the Tower of London is a tourist hotspot, and is open to the public most days. Â Hotel in LondonÂ are easy to find and close by the tower for your convenience. Besides being a piece of English history itself, the tower grounds house a museum and are home to the British Crown Jewels, which, in my opinion, are the highlight of the visit, as you are able to see two of the largest diamonds in the world up close and personal along with countless other jewels and gold creations. 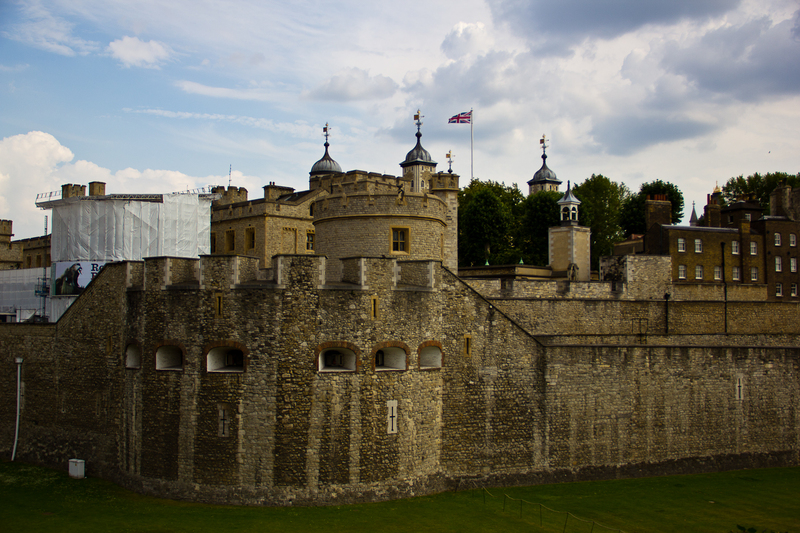 Here are a few photos I snapped during our tour of the tower of London! 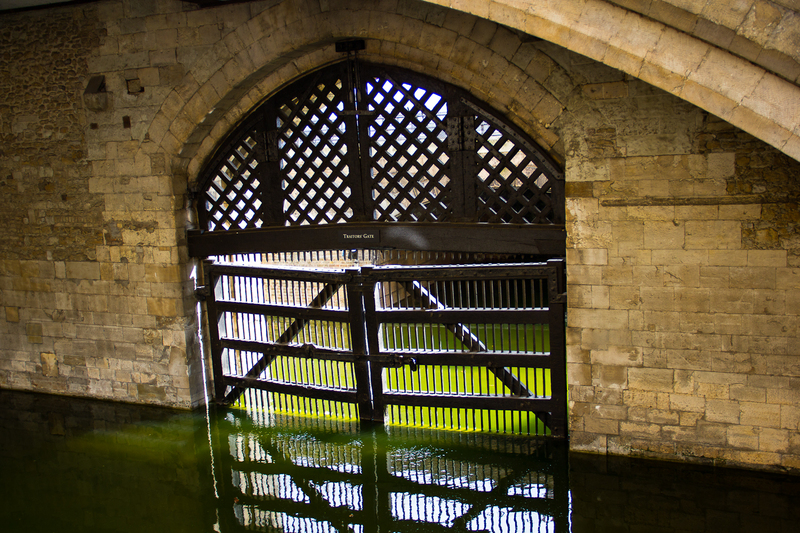 Traitor’s Gate. For centuries criminals were brought by boat to the Tower of London to be executed on the green there. The list of people beheaded here includes many members of royalty and ex-wives of many kings. 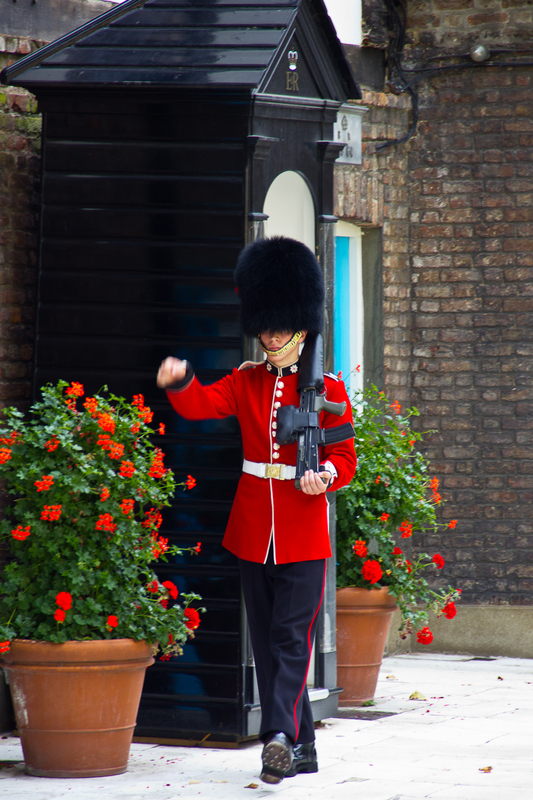 Members of the Royal Guard patrol the tower grounds, keeping an eye on all of the sneaky tourists. Of course this is more of a tradition than anything else, and maybe it is quite an honor to be chosen to do this, but you couldn’t pay me enough money to do what these guys do. No facial expressions, no reactions to anyone, and hundreds of tourists taking your photo each and every day. At least this guy was roped off from the crowds. Others weren’t so lucky. The White Tower. This is the original structure that was built in 1066 and stands today in the center of the grounds. The museum offered quite a few displays, but this one was by far the most interesting to me. In a large display full of suited armor, sat these two specimens. The one on the right is easily eight feet tall, while the other on the left is no more than two feet. Apparently they sent both their giants and their children into battle. If you’re looking for deals on a trip to London check out this London Holidays page for info and more. 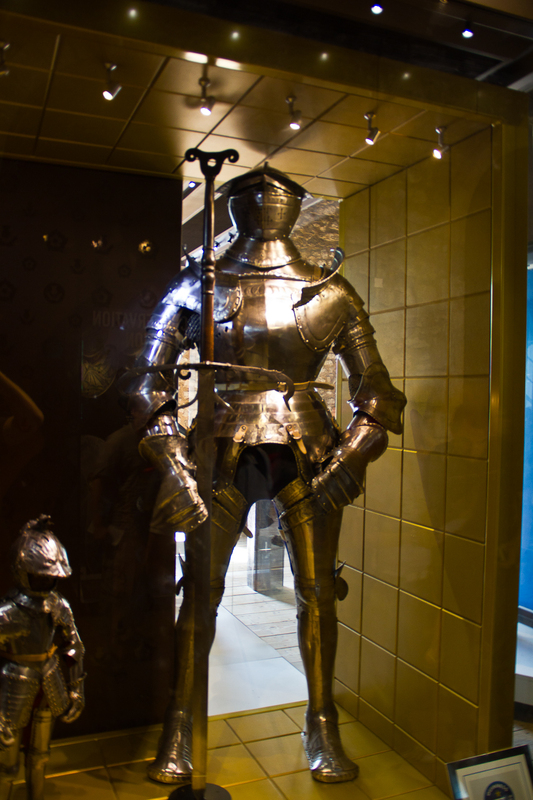 i had fun visiting the tower of london, but i have to admit i was a bit disappointed with the crown jewels portion. I wanted to stop & stare…not be moved along by the moving walkway! After the moving walkway we went onto the raised level and stared for awhile. Then we went through the moving walkway again, haha. The Tower of London was the very first site I saw in London. I had taken the Paddington Express from Heathrow right onto the tube and when I emerged from the underground station, there it was right in front of me. The place can give you chills thinking about everything that happened there. Yea it is definitely an impressive site and the more you learn about it the more impressive it becomes. I have been to London three times and strangely enough to never occurred to me to go to the Tower. It’s been a really long time since I’ve visited London, and I’ve never been to the Tower. Looks like a good day trip, and I enjoyed checking out your photos! I’m glad I’m not the only one who has missed the tower despite having been to london a number of times 🙁 Great pictures here Matt! First time I saw Tower, I was 16. We had a guide who very vividly described beheadings and the like. It was quite thrilling. Yea, it seems like the place was basically built to be a place to behead people, haha. I’ve heard stories of a few of them not being able to keep it up, but the guys we saw were pretty good! I took a short trip to London, and I debated whether or not to see this. I was very happy I did. Great shots. It looks like you had fun!